Choosing the type of wood you want to use for your next DIY project can make a huge difference in the quality of work you’ll be able to deliver. However, it might be tough to choose the best type of wood for your project if you lack experience in working with wood. Time to remedy that. 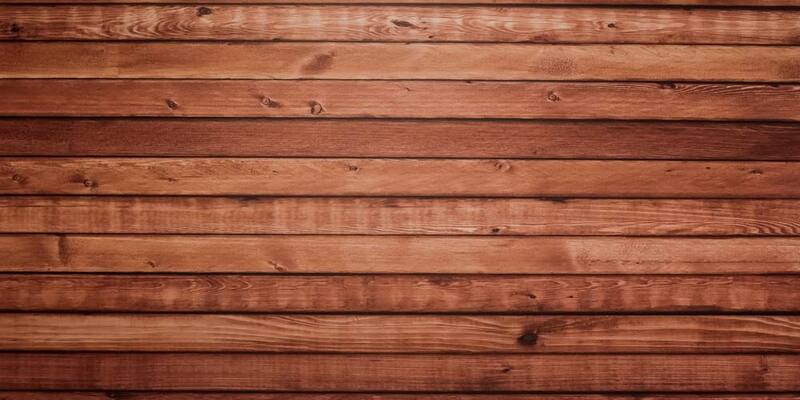 What type of wood is best for DIY projects? This will depend entirely on the kind of DIY project you’re planning to take on. Every kind of wood has specific pros and cons. Think about aspects like price, type of grain, color, hardness, weight, and durability. To make the right choice, you will have to factor in these differences and decide what type of wood suits your specific DIY project best. We’ll take a look at the most used and best types of wood for DIY projects. To get a good overview, we’ll devide the different kinds in two main categories: softwoods, hardwoods—and look at them in detail. That way you’ll have a solid grasp of the characteristics of each kind of wood. This knowledge should be very helpful when you have to decide what wood to buy for your DIY plan. A third option you might want to consider is plywood, but we’re only discussing naturally occurring woods today. Contrary to popular belief, in general, softwoods aren’t weaker than hardwoods. Since softwoods come from coniferous trees, they are a less dence though. That’s is mainly because these trees grow a lot faster than their hardwood counterparts. Because of this, softwoods are usually a lot cheaper as well and tend to be lighter in color and weight. Let’s take a look at the best options, their most common uses, and why they can be a solid choice for certain projects. Cedar is one of the most popular types of wood for outdoor DIY projects like decks, furniture or building exteriors. It’s also a solid choice for indoor projects like doors or cabinets. One of the advantages it has compared to other kinds of wood is the fact that it doesn’t absorb moisture as much as a lot of other wood types do. Because of that, it’s naturally resistant to rot and insect proof. The most common variety of cedar wood is western red. It has a straight grain, and a slightly aromatic smell, which gives it a warm and natural appeal. You can find it in most local home centers for a moderate price. The great thing about fir wood is the low price. That doesn’t mean it’s an inferior wood when it comes to utility. It’s an excellent option for light structural work because it’s fairly strong and particularly hard for a softwood. In addition to this, you can use it for building furniture as well. Be mindful, however, that it’s not the most aesthetically appealing wood because of its grain pattern. It stains easily as well, so be aware of this when looks and visual durability are important. Because of these reasons, it’s a good idea to use fir for projects that you intend to paint afterward—or will be out of sight. If these things aren’t a problem, the price of fir makes it an exciting choice of softwood. Fir wood is very commonly available in home centers. 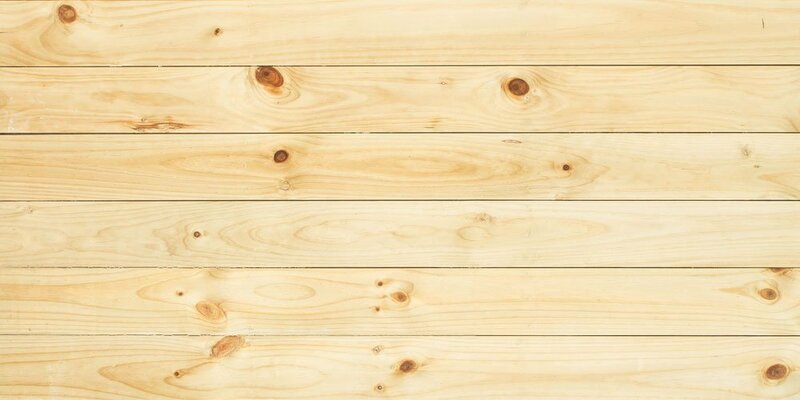 If you’re on a budget, but want a reliable and robust type of softwood, you should certainly consider buying it for your DIY projects. You won’t be dissapointed. Pine is one of the most popular softwoods that’s available to DIY enthusiasts. Cheap, available in abundance, and easy to work with. It’s most commonly used as a utility wood, but it lends itself very well for building furniture as well. It comes in a lot of varieties like Sugar, White, Ponderosa, and Yellow. They all need to be handled carefully though. Because of the soft nature, they tend to dent easily. This softness has some advantages as well: pine accepts nails very easy. You won’t have to pre-drill any holes, and the nails will stay firmly put when compared to other softwoods. Secondly, it is very suited for projects that require carving. If you handle pine wood with care, it can get you excellent results for your DIY projects. Not in the least because of its ability to resist rot and decay. Like most other softwoods, pine is available in most home centers. If you are planning to do outdoor projects, like buildings or furniture, then redwood can be an excellent choice. It’s dependable, easy to work with, and very resistant to moisture. 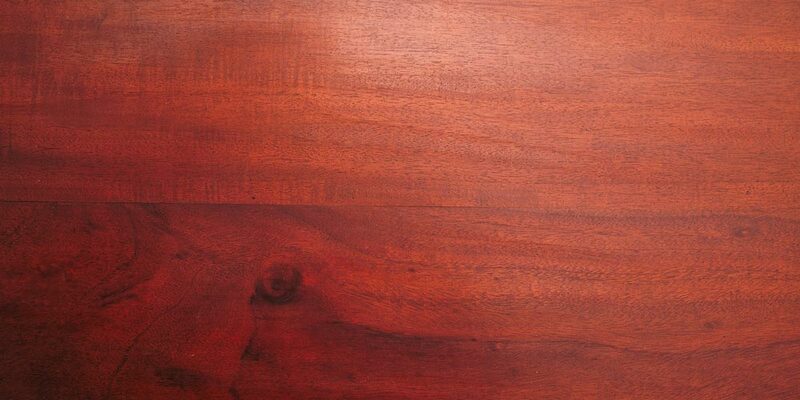 Redwood has a straight grain and – this shouldn’t come as a surprise – a reddish color. You can use redwood as an all-purpose wood since it has no real drawbacks when it comes to utility. It has a lot of the same charecteristics as cedar. Redwood is available in most home centers and is moderately priced. If you have a bit more to spend and like the way it looks, redwood can be an addition for just about any DIY-lover. The main advantage of spruce wood is it’s weight. Spruce wood is very light. If this is an essential aspect of your project, spruce is the way to go. It’s not a coincidence that the first aircraft built by the Wright brothers was made of spruce. Spruce has it’s drawbacks as well; it doesn’t do well with moisture and has no properties to repel insects. For that reason it’s used almost exclusively for indoor structural purposes, like drywall framing. It can be an interesting wood because of its weight – and also price – for a lot of DIY projects. Be aware though where and when to use it properly. Most woodworkers prefer to work with hardwoods. Not in the least, this is because of the luxurious appeal, rich variety in colors, high quality, and durability. However, these lovely charecteristics often come with a hefty price tag. As such, hardwood is almost exclusively used for furniture, floors and detailing in a DIY context. It’s excellent as a building material as well, but the price often favors softwoods for this purpose. Let’s take a look at the best hardwoods for your DIY projects. 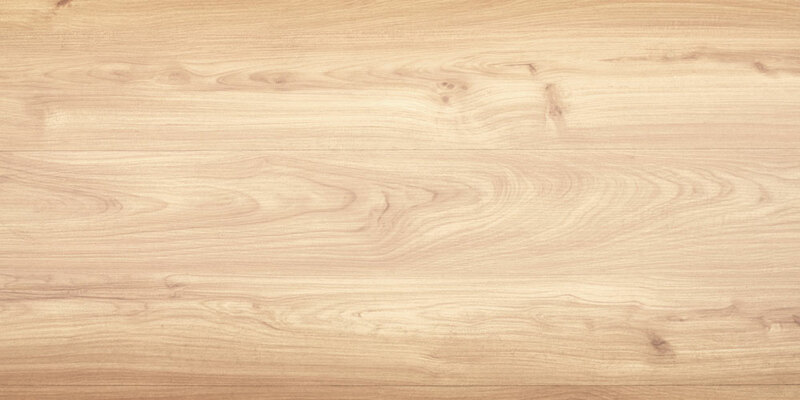 If you’re not familiar with the look of cherry wood, you will easily recognize it when someone points it out to you. Cherry has a distinctively dark and luxurious tone to it—which makes it a favorite wood with many furniture makers and cabinetmakers. These same aesthetic properties allow cherry wood to bring warmth and class to a room when used as a building material for hardwood flooring. If you’re looking for a hardwood that is relatively easy to work with and looks great, then cherry wood is a solid option for your DIY project. It can be a bit more challenging to obtain cherry wood these days. You won’t find it in a lot of home centers, but any self-respecting lumberyard should have it available. Be aware though that cherry wood can be somewhat expensive, even when compared to other commonly used hardwoods. With its distinguished red-brown tint, straight grain, and elegant texture, mahogany is one of the most popular woods in the furniture business. 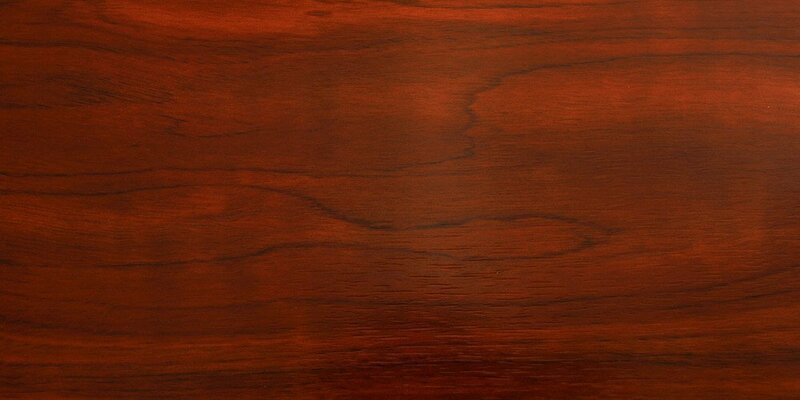 Because of its softness (for a hardwood that is), Mahogany is easy to work with as well. It also stains very well, ages beautifully and only needs a basic oil treatment. So there’s a lot to like for DIY-enthusiasts and furniture makers. Some purists work exclusively with mahogany for reasons stated above. 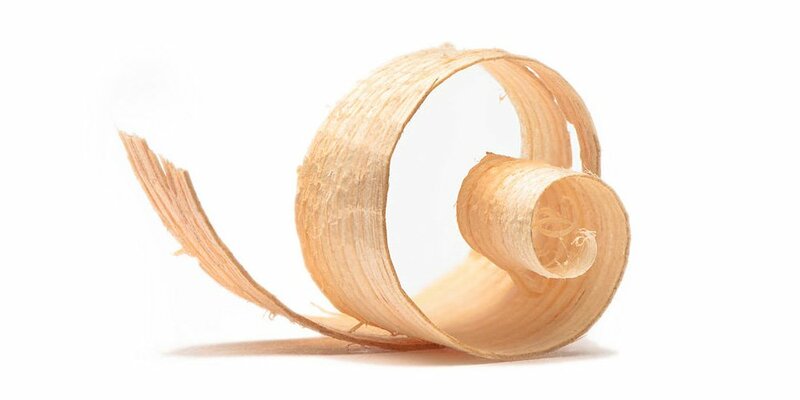 However, for all its beautiful and practical properties, there are three drawbacks to this type of wood: it’s not grown in sustainable forests, it’s hard to get a hold of, and it’s costly. You won’t find it in a local home center, but a good lumberyard should be able to provide you with all the wood you need for your DIY project. Maple wood might be the most versatile and widely utilized hardwood in this list. It comes in two varieties: softwood and hardwood. It’s really popular in the construction business as a luxury workhorse. The hardwood variant is one of the strongest and hardest woods you can find. This makes it extremely durable as well, so it will preserve your DIY project for years to come, even under harsh conditions. The only drawback to this is that it can be hard to work with. If that’s a problem, you can always use the softwood variant, that has a lot of the same properties as the hardwood variant. Because it’s softer, working with it is a lot easier. 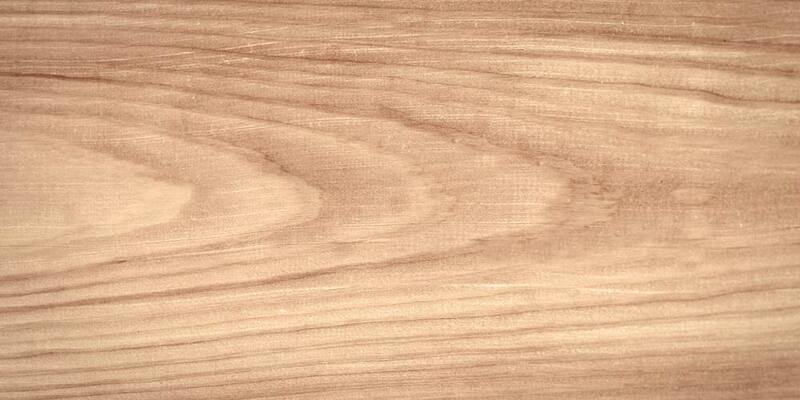 Besides that, maple looks beautiful and – because of it’s fine grain – takes paint like no other. It looks elegant and distinguished. If you’re planning to use hardwood, there’s an excellent chance maple has a lot of properties you’re looking for. As a bonus, maple is also one of the cheaper hardwoods. You probably can’t get it at your local home center, but every halfway decent lumberyard should be able to provide you with it. If you’re looking for wood that is easy to maintain, gorgeous, sustainable, strong, durable and easy to work with —look no further. Oak excels in all these categories. Indoor, as well as outdoor. There are two types of oak: red and white. The white variety is mostly used in the furniture business because of its a bit more aesthetically pleasing, while the red kind is more popular as a building material. Both types are water-resistant as well. I can’t really think of an appliance that is not a good fit for oak. Whether you’re building a structure, working on a boat, or want a new floor, it’s a truly versatile and high-quality type of wood, that’s easy to acquire and relatively cheap compared to other hardwoods with similar properties. 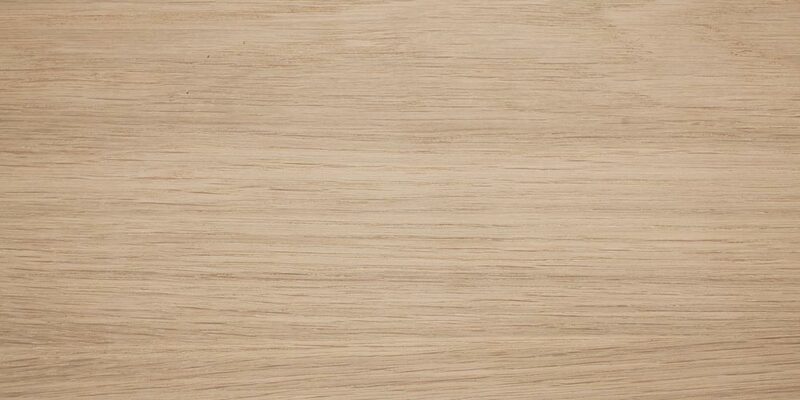 You might find red oak at some home centers. The white variety is usually only obtainable at a lumberyard.